A Blonde 70s Wig and Tash Set with quality Blonde Wig and coordinating self-adhesive Tash - an instant look for any 70s theme. 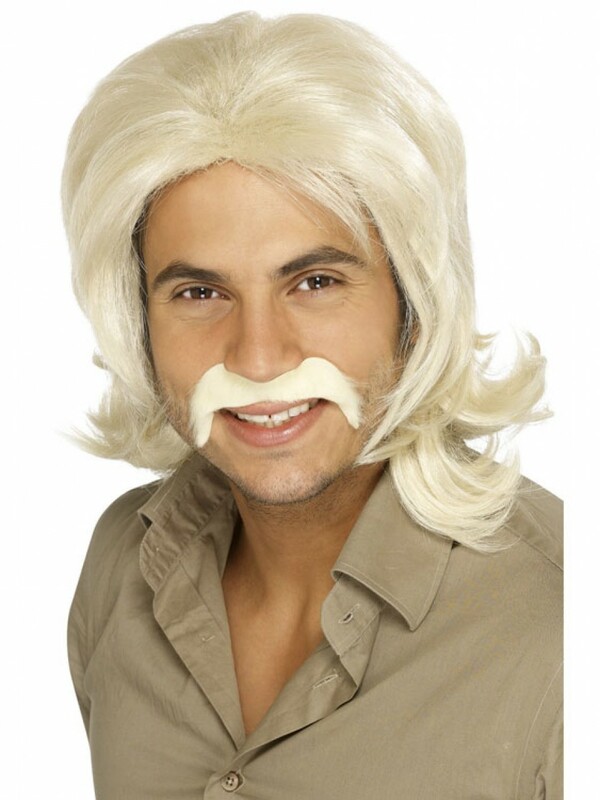 A Blonde 70s Wig and Tash Set with a classic 70s design which is sure to make you stand out in any crowd. The set is made by Smiffy’s - a leading Wig Maker giving you great quality at a fantastic price. The wig is in blonde with full hair on top and flicked ends to give a classic 70s style. The coordinating blonde tash is self-adhesive and perfectly completes this Blonde 70s Wig and Tash Set! Great for an instant look and ideal teamed up with any 70s costume.